This doesn’t mean I haven’t been busy! The biggest thing that has happened is that I have taken a position as the Case Manager for my friend and colleague Deena Coutant of DigiDeena Family History Solutions. This means I am working to supervise all of the projects she’s got going, sending them to contractors, helping with marketing ideas, and working on research projects as needed. This job has been keeping me quite busy, especially as I get stabilized and familiar with the processes, and learn how to work with the contractors Deena already had in place, and helping to hire new contractors. It is an exciting time and we are having a great time working together! There are several other items I have in the works, but the details aren’t firmed up yet, so when those items are worked out I will be sure to update this page and my calendar. Here’s to 2017 being an awesome genealogy year! It is an unfortunate fact that genealogy institutes only have so many seats for each class. If I have gotten you excited to attend an institute, great! Now, I want to share with you some tips for getting registered and sitting in one of those precious few seats. Have you ever bought concert tickets online? If so, the process is similar. If you have not, here are some tips. Each institute’s registration process is a little bit different so first you will want to become familiar with their website, locate exactly which page you need to be on to register. You may also want to set up an account ahead of time, if possible, so when it’s time to register, you don’t have to go through the entire process of entering your name, address, phone, and so forth. 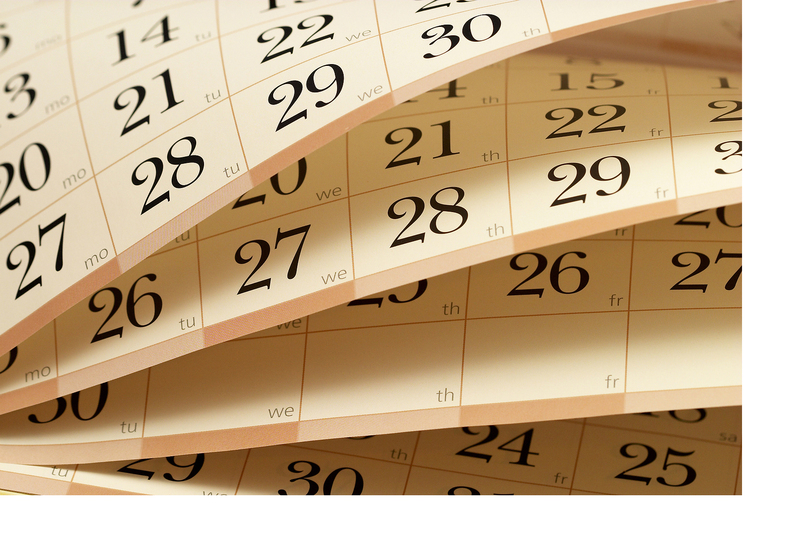 Once they make public the date of registration, mark that date on your calendar. I enter it into my Google calendar which also syncs with my iPhone calendar, so that on the day of registration I get a reminder before it’s too late. When the day arrives, be sure you are at your computer at least five minutes ahead of the registration time, find the correct page, and log in if possible. Then sit there and wait. At about one minute till, I start clicking the “refresh” button on my browser. The webpage will not automatically refresh when the site opens for registration, so you’ll need to force your browser to do it for you. [UPDATE: The GRIP registration page has been changed to include a countdown timer to registration. When that expires, the page will automatically refresh for you. On their new system, it is actually to your disadvantage to click the “refresh” button.) Once that magical registration screen appears, get busy filling in the blanks. You’ll want to get through the process as quickly as possible as some of the courses have been known to fill up in a matter of minutes. Some institutes might require you to pay right then and there with a credit card. I know that both IGHR and GRIP allow you to pay by check as long as they receive the payment within 30 days of registration. After that’s done, take a deep breath. You made it! Up next, what to expect during the institute week and a few concluding thoughts. One of the beautiful wooded areas on the campus of Samford University. Photo taken by the author. Samford University in Birmin’ham, Alabama is a gorgeous campus teeming with beautiful architecture, wonderful magnolia trees and apparently snakes. It is in its 174th year as a private university. I have lived in Wyoming and Colorado since 1988 and having been in a dry climate for that long I had nearly forgotten about lush, green vegetation, rolling hills, rivers, lightning bugs and all other things that come along with just a little bit more precipitation. I am here attending my first ever IGHR (Institute of Genealogy & Historical Research). Tomorrow I will have the pleasure of learning from Elizabeth Shown Mills for an entire week! I am excited (and truth be told, a little bit nervous) to be here. There are many rumors that the nightly homework can be quite involved! Today was the welcome dinner where I got to meet and visit with some of my colleagues and fellow classmates. I especially enjoyed the time getting together with the ProGen Study Group, past and present. What an amazing group of people. The mentors and coordinators are truly interested in promoting genealogy as a profession and in giving each individual participant their attention when needed. Many of my fellow students I have never met in person, so have a chance to put a face with the name is really fun. Since sleep might be scarce for the rest of the week, I think I will turn in early tonight! 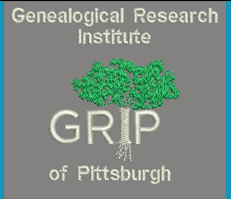 There are far too many ways to make puns on this new Genealogical Research Institute of Pittsburgh or GRIP or GRIPitt’s name. That’s not a complaint, a compliment really. Not much you can do with IGHR (pronounced “eye-ger”) or SLIG (pronounced, well, “slig”). Don’t take that as a criticism of those other institutes. I’ve never been to one. 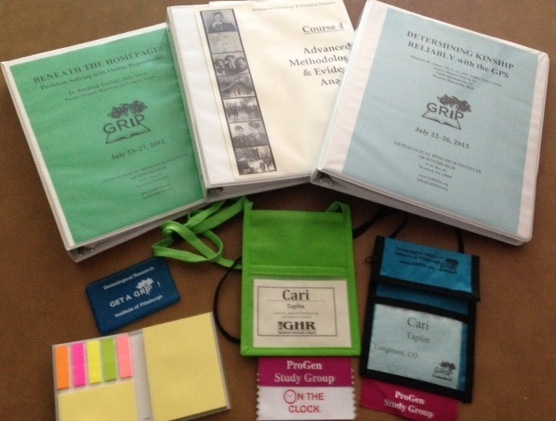 GRIP is the first week-long institute I’ve ever attended. I’ve had “attend an institute” on my genealogical to-do list for quite some time and I probably wouldn’t have attended this one if it weren’t for some awesome genea-buddies who enticed me with a free room and splitting other costs 3-ways. As a result, I think I will forever be attending institutes when it comes to advancing my genealogical education. It was so awesome to be focused on one topic for the entire week rather than taking part in a smorgasbord of topics all day long for several days until your head is spinning. I’ll still attend conferences but I feel those would be more for the social aspects of networking and re-connecting with genealogical friends face-to-face rather than via email or Facebook. I had the great honor of taking Joshua Taylor’s “Beneath the Homepage: Problem-Solving with Online Repositories.” Honestly, I went to hear Joshua speak more than the topic at hand. I had worried that the program would be a little too “beginner” for me (I mean, I have been using the Internet since Al Gore invented it and Google finds most of that stuff on the internet anyway, right?) but I have admired Joshua’s work since I first met him when he came to Denver several years ago and spoke at the Colorado Genealogical Society’s Annual Seminar. I was delighted to find another “young” person who is maybe even more in love with genealogy than I am. I mean no offense to those of you who are “older” because all I mean by this is that it seems many genealogists come by the occupation of genealogy around retirement age and not when you are 4 years old and having your grandmother teach you all about your family OR in high school when you are assigned a family tree project and you realize that your branch of the family stems from the “black sheep” as it were and you really know very little about that branch of the tree. Most of us don’t have those experiences and then stick with it as an actual profession. Most of my genealogical friends have been consistently at least 20 years older than me (with a few exceptions, you know who you are) and it has only been recently that genealogists close to my age group have begun to join the ranks. Well, I learned that Google doesn’t find “everything” on the internet and sometimes you have to dig for it. So shovels in hand we spent a week digging through website after website after website. I only managed to “delicious” a fraction of them but the class was so enlightening on many levels. I have a new appreciation for phrases such as “digital collections,” “digital archives,” “virtual gallery,” and so forth. I learned far more than I wanted to know about Dublin Core, EAD, MARC and Library of Congress Authorities. Mainly we just dove right into those repositories’ sites. Think of a place. Most likely it has within driving distance (although on the internet this isn’t an issue) a local public library, a college or university, a state repository such as a state historical society, library or archive, and they all have governmental entities. I was surprised at how many of these entities have begun putting up digital collections of actual records on their websites. And if they didn’t have the actual records online, many many many had awesome finding aids that describe what they do have on location. Even then, if you know anything about an archival repository, you know that something like only 60% of their collection has been processed and cataloged. So while many, many records are going online everyday, STILL we need to visit these repositories. I think we would be really cutting ourselves and our research short if we rely solely on the Internet for our sources. I could go on about this class, but really you should find a time to take it yourself. Joshua was an excellent teacher. Very patient with those of us with technology handicaps, very patient when we asked him to “go back” and show us again, very patient with those of us in the end stages of pneumonia so we coughed a little more than normal and were possibly disruptive. 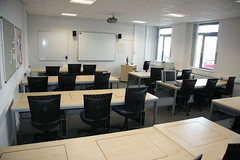 He was very pleasant to ask questions to; every question was met with “That is an excellent question…” It was great to be in a smaller classroom with 20 other people rather than in a huge conference room with 200 other people, for a change. Thank you GRIP organizers for a great institute experience, thank you Joshua Taylor for an awesome class and thank you genea-buds for bringing me along. Next year the room is “on me” … well, I found us a free room I mean.